The 1968 edition of Virginia Military Institute's "The Bomb" contains images of people in blackface and derogatory references to black, Asian, and Jewish people. Norment was one of the yearbook's editors. 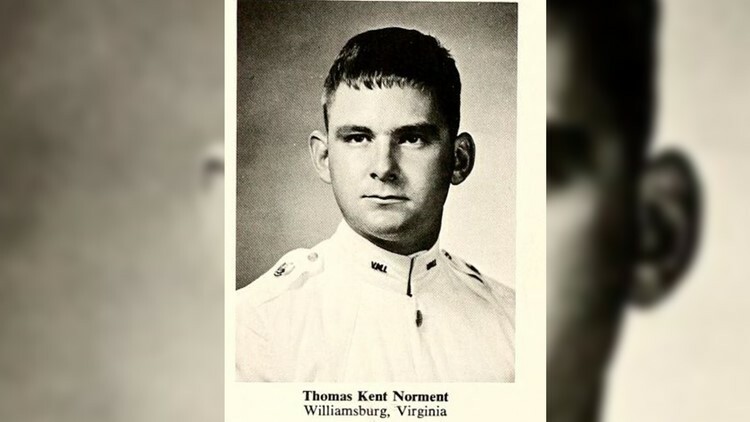 RICHMOND, Va. — Virginia State Senator Tommy Norment served as an editor of his 1968 Virginia Military Institute yearbook which is littered with racist photos and slurs. The VMI yearbook, called The Bomb, listed Norment as a managing editor. One photo shows a group of people dressed in costumes. One is wearing blackface. Another picture shows two people in blackface holding a football and wearing sunglasses. The description under one cadet's photo said he was known as the "Barracks Jew" and had his fingers in the "finances of the entire Corps." The terms "Jap" and "Chink" refer to another cadet who was from Thailand. Later, he released a full statement and said that he's not in any of the photos and he did not take them. He also said he can't endorse or be associated with every word in it. "It has been the objective of this year’s Bomb staff to concentrate on the VMI as it exists in actuality, not in theory. There is an ever-broadening chasm between the two positions. With the completion of the editorial and the 1968 Bomb, I regretfully leave behind the theme “Honor Above Self” and the loyalty of the few selected Brother Rats. Work on the Bomb has permitted me to released four years of inhibitions." "Senator Norment has emphatically condemned the racist and abhorrent photos in the yearbook, as do I. None of the photos include him, he's spoken to his role as a member of the yearbook staff and shared his views on the admissions policy. It's unfair to compare assisting in the production of a yearbook to the other revelations from this week." Norment graduated from James Blair High School in Williamsburg before he attended VMI. He graduated from the Marshall-Wythe School of Law at the College of William & Mary. He has served in the Virginia Senate since 1992. Word of the content in the 1968 VMI yearbook came less than a week after a racist picture from Governor Ralph Northam's medical school yearbook surfaced. Northam's page in the 1984 Eastern Virginia Medical School yearbook featured a photo of a person dressed in blackface and another in a Ku Klux Klan hood. Northam also attended VMI. He graduated from there in 1981. Underneath his picture was one of his nicknames "Coonman," which some also took to be racial in nature. Northam said in a news conference about the controversy surrounding him that fellow cadets gave him the nickname. The third in line to the governor's seat, Attorney General Mark Herring, admitted Wednesday that he wore dark makeup to a party in 1980.